Jobs Description: Healthcare Department Punjab Jobs April 2019 can be viewed in our site. 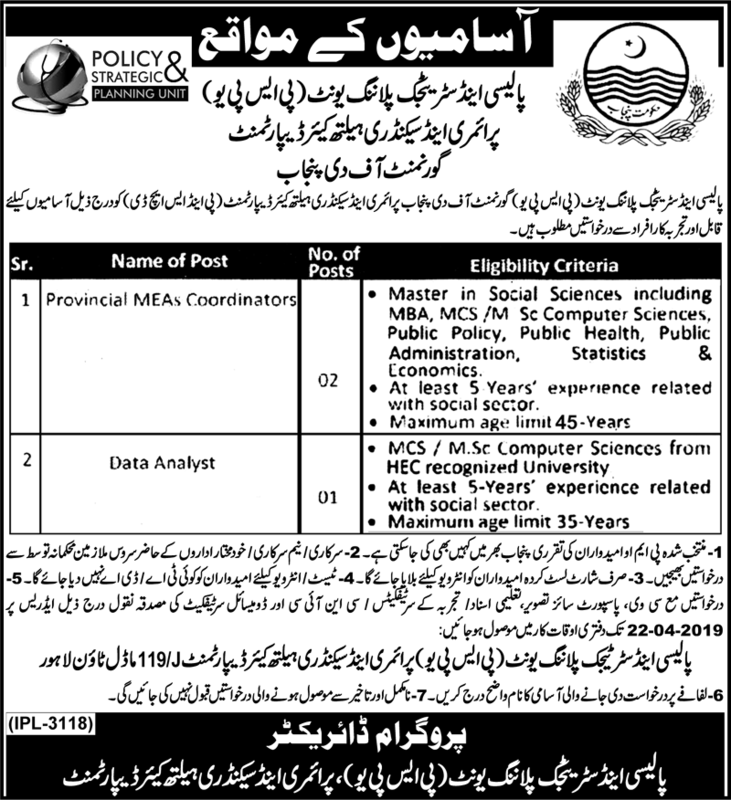 The Government of Punjab recently announced an advertisement for Jobs of Provincial MEAs Coordinators and Data Analyst in the Policy Strategic & Planning Unit, Primary & Secondary Health Care Department. Healthcare Department Punjab has required the applications for the following jobs. How To Apply: The interested candidates may send their applications to the Primary and Secondary Healthcare Department, Model Town Lahore.